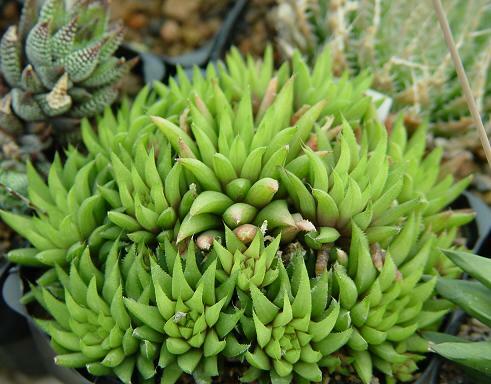 Haworthia chloracantha var. chlorancantha Haw. Data: (KA0934) light-green and triangular leaves, small teeth at margins, will redden in full light.